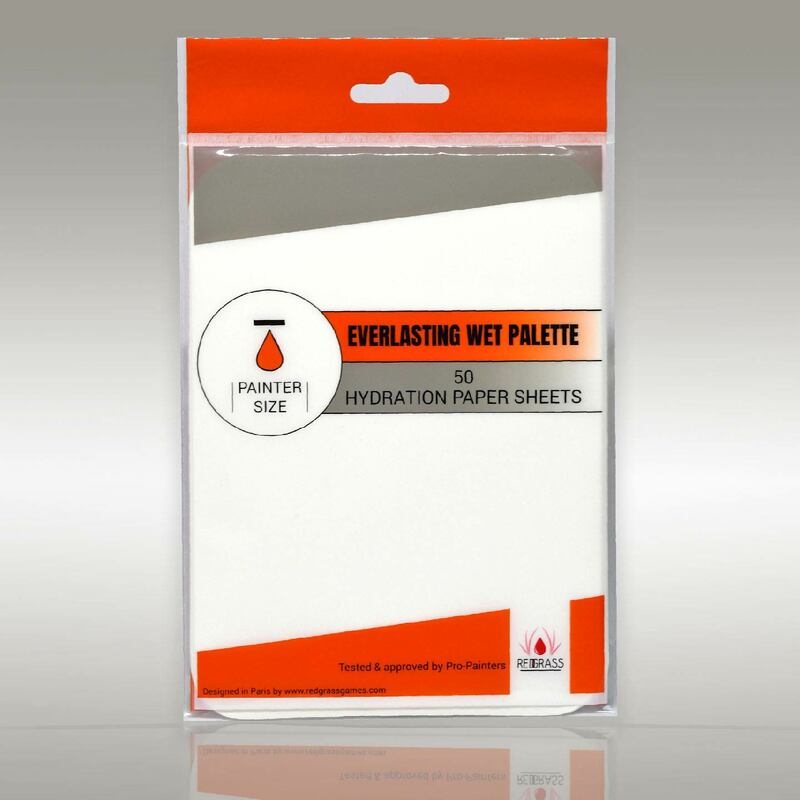 This hydration paper is the perfect match for our foam. It sticks on it, and does not create bubbles. 100% of the paper is in contact with the foam, for perfect hydration. It will not curl after the easy setup. It was particularly selected to offer the best performance with hobby paints and level of dilution used in hobby painting. Free shipping for US, Canada and Western E.U for orders above 35 Euros.